How Does Our Passover Story Begin? Now that’s how to start a story. These famous opening storylines, from Zora Neal Hurston, Herman Melville, and Toni Morrison, hook us from the very start. They stand out as iconic beginnings to dramatic narratives which draw us in and transform us before we even know it. What a strange way to start a story! This is, of course, a passage from the Passover Haggadah that comes right at the beginning of the magid section of the Seder, as the storytelling begins. It is about what the text calls in Aramaic the lechem oni, often translated as “the bread of affliction,” which is the way that the Haggadahand the Torah refer to matzah. Rabbi Jonathan Sacks also notices what a strange invitation this is. “What kind of hospitality is it,” he wonders, “to offer the hungry the taste of suffering?” In fact, though, this is a profound insight into the nature of slavery and freedom. As noted by the Haggadah, matzah represents two things: it is the food of slaves AND the bread eaten by the Israelites as we left Egypt in liberty. What transforms the bread of affliction into the bread of freedom is our willingness to share it with others. Sharing food is the first act through which slaves become free human beings. A person who fears for the future would not offer their bread to others. But a person who is willing to divide their food with a stranger has already shown themselves to be capable of friendship and faith, the two things from which hope is born. As you prepare for Seder, wherever you will be – here in Manhattan, or in the hinterlands of New Jersey, Long Island, or beyond – I hope that you will heed this profound call of the opening line of our Seder story – to share your bread, to make one more seat at the table. 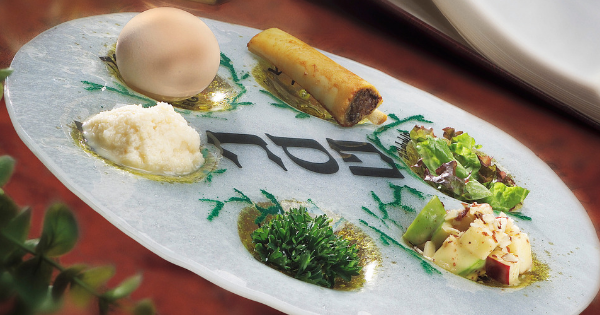 You can do this by literally welcoming another person at your Seder. If you have room at your table, please let me know; we may have members of the congregation who don’t yet have a Seder to attend. You can do this figuratively, by calculating the approximate cost of having one more person at your Seder and making a donation to MAZON: A Jewish Response to Hunger. It’s a great start to a story! Join me in transforming the bread of affliction into the bread of freedom, and, in so doing, enter into this season with hope for the future.